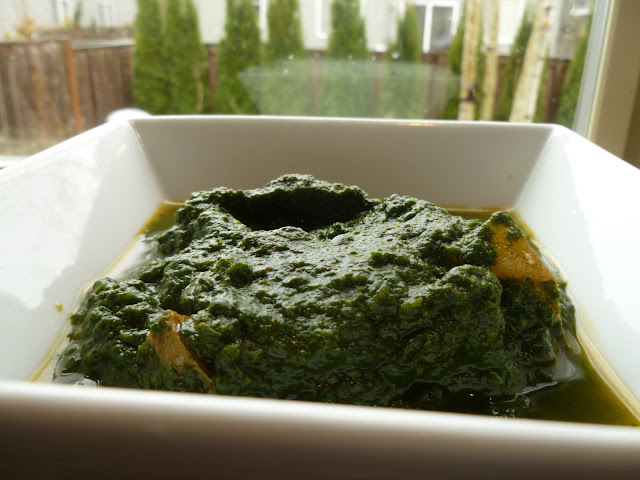 Palak Paneer is a very popular party recipe. This recipe requires very few ingredients and is quick so can cooked for everyday meal too. Heat oil and deep fry the paneer cubes and drop in salted warm water. Bring a few cups of water to rolling boil . Add spinach and green chili and cook for a minute and drain. Coarsely grind the spinach and chili and keep aside. Heat ghee and add asafoetida ,turmeric,chili powder . Mix and immediately add the spinach and paneer. Add garam masala and simmer for five minutes. Add salt and remove from fire . Healthy and my fav palak paneer.